The home has been built overlooking a river, surrounded by a thick, luscious belt of green. 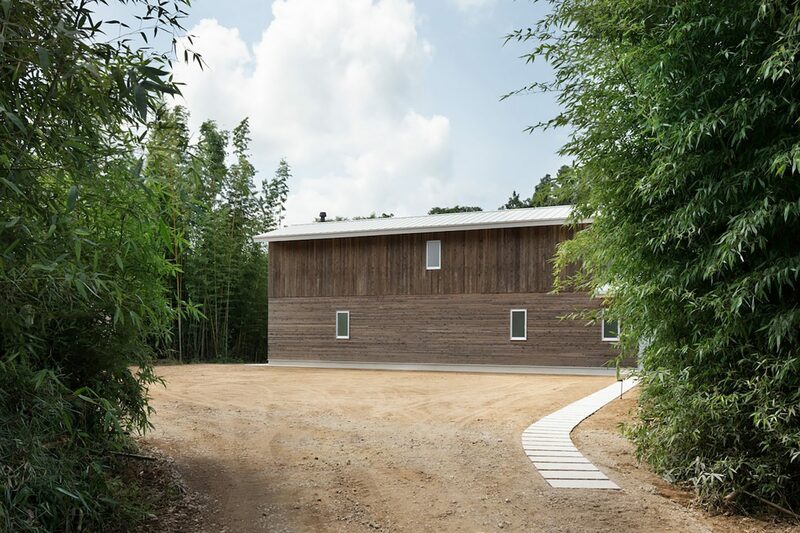 In the midst of a bamboo forest, beside a fast-flowing river, you’ll find a minimal dark wood home – House in Higashi Ohawada, designed by Fukuoka-based architecture practice CASE-REAL. This minimalist residence was designed for a photographer; its forest location and the creative occupation of its owner were both taken as inspiration for the structure. A deck stretches beyond this living space towards the river, giving the illusion of complete isolation and oneness with nature, despite the proximity of the home to other houses. The home has been built overlooking a river, surrounded by a thick, luscious belt of green.